Watch Dogs brand of shooting and hacking is leaving the city of Chicago and heading to Camden, New Jersey. The shift to a new city will arrive in the form of some new DLC, due out this autumn, according to the Watch Dogs Twitter account. The teaser image attached to the tweet notes that Camden had the highest crime rate in the US in 2012. “A 24/7 surveillance program is now in effect,” it boasts, ominously. Camden is across the Delaware River from Philadelphia. In 2012, it had the highest crime rate in the US with well over 2,000 violent crimes per 10,000 people. According to the FBI, that’s a whopping 560 percent greater than the average American city. It also has a history of corrupt politicians. 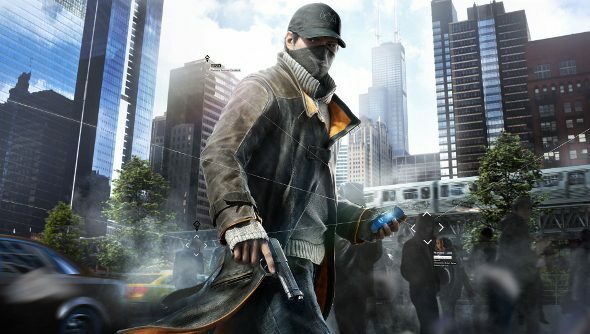 It sounds like a ripe setting for Watch Dogs, though I confess I do find it rather exploitative to take a troubled city and then build a game around its very real problems. While action packed and sometimes entertaining, Watch Dogs didn’t really have anything to say about crime or surveillance while it was set in Chicago, but maybe it will be more thoughtful this time around. Will you be returning to Ubisoft’s near-future dystopian action game?